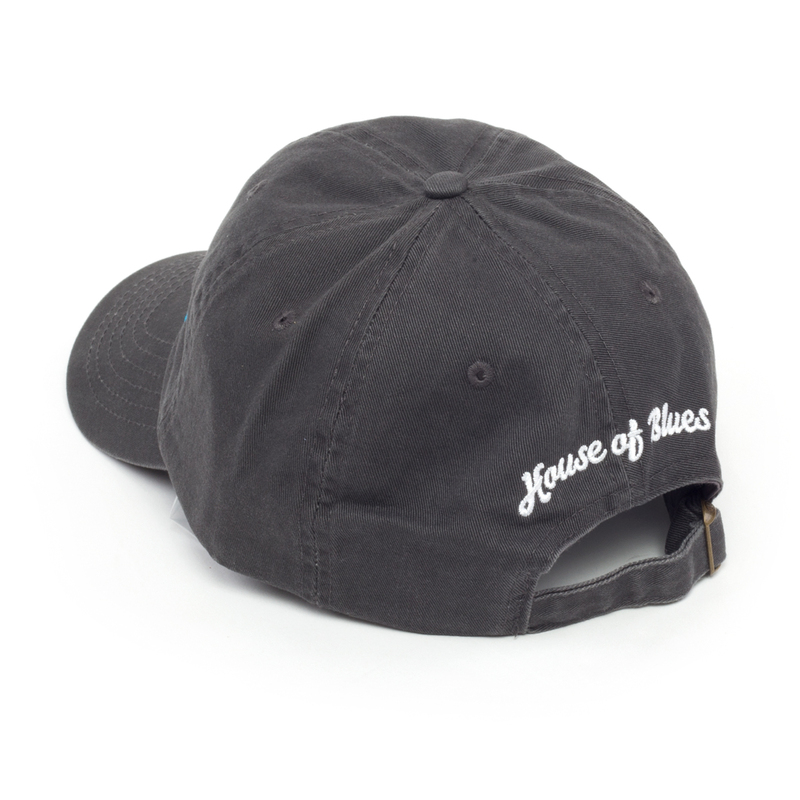 Gray hat. Metal clasp closure. 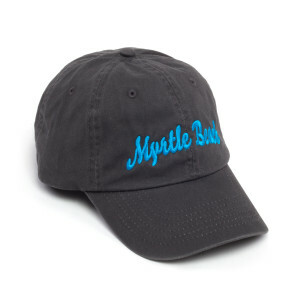 Myrtle Beach blue lettering on front and House of Blues white lettering on back.